The Kitemans Family project created by Dmitry Gorbunov & Ilya Farbman. The duo comes from different musical backgrounds. Ilya hooked with electronic sounds but always with a passion for good live music & wanted to experience some other sides of music beside electronic music while Dmitry was into acoustic music and reggae, funk, hip-hop and rock influenced music. From 2010 they started to work together on this new project to bring a wide verity of musical genres with unique and special sound. Combining their skills and knowledge in their unique way by using sequencers, live recordings, synthesizers to bring their vision into life with their first single release Hanging Over. All tracks mastered by Angelos Timewarp Stoumpos. 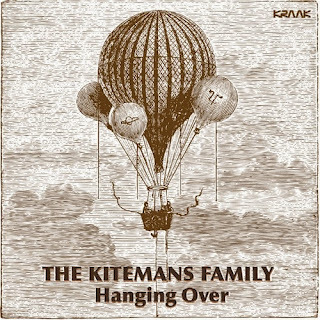 The Kitemans Family - Hanging Over will be available on October 14th, 2013 for sale in special edition CDR and digital download at Kraak Store and all mp3 retailers across the internet. De Rigueur is the eccentric but always stylish nom de plume for Brooklyn, NY based producer Mike Reger's timeless take on chill out music. Mike's recording career spans back over 15 years under many guises, starting in Washington DC's thriving electronic music scene of the 90's and building with his many years in the Brooklyn underground. 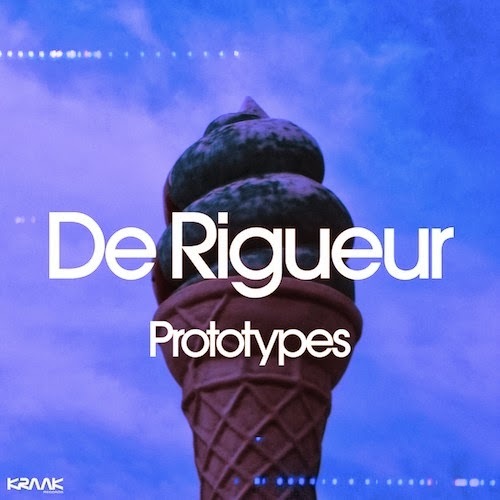 After a few years break working on other music projects, De Rigueur returns, joining up with Kraak to release his brand new EP titled "Prototypes" that includes five fresh tunes ranging from cinematic jazz to cheeky vocoder funk to smokey after- party downtempo to future ska and dub house, all bridging the gap between dance floor friendliness and home listening. Opening the EP, "A Break For Monday" sets the scene with dreamy sun-kissed rhodes echoes, jazz guitar licks, upright bass, spacey trumpet and rolling drum breaks that wash in and out like the tide in a fond memory of some far away beach party. "Give it to Me Nice Up" steps up the sunny vibe, with funky vocoder, bass and guitar hooks over infectious breakbeats sure to get you moving your feet. This track was also featured on Quincy Jointz popular compilation/mix "Lime Sorbet Vol.3" on Timewarp Music. Following that, "After The Afterhours" takes us to an after party full of moody vibes, catchy guitar riffs, smokey horns, rhodes grooves and subtle synth echoes to chill out or dance to. Shifting things up, "Rasska" finds De Rigueur donning a dubbier, ska influenced sound complete with spooky skankin' organs and guitar, bubbling bass and a classic one drop riddem. To finish off the EP, "Dubbey's 10 steps to Redubbery" (also featured on Kraak Disco II) keeps the dubby vibe going with another classic riddem section while tweaking the guitars and synths to the bleepy extremes to make for a undeniably infectious housey groove with a sly sense of humor to leave you wanting more but with a big smile. De Rigueur - Prototypes will be available on October 28, 2013 for sale in special edition CDR and digital download at kraakrecords.bandcamp.com and all mp3 retailers across the internet.